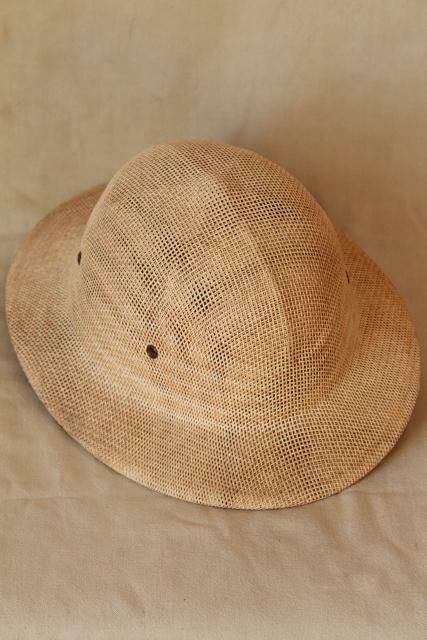 1980s vintage Brookstone's sun helmet - this has a great old Banana Republic safari style! 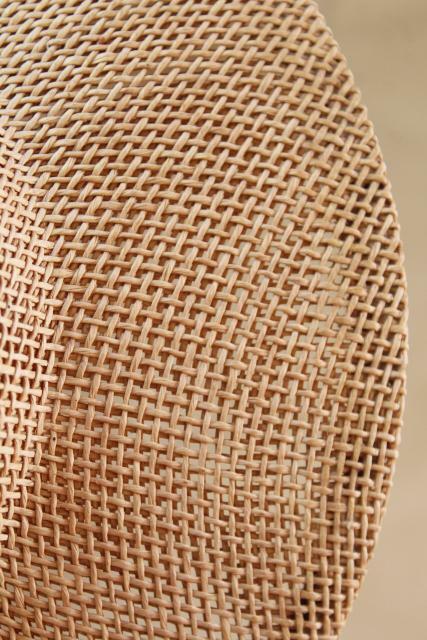 It's lightweight woven straw or straw-like material, airy but shady. 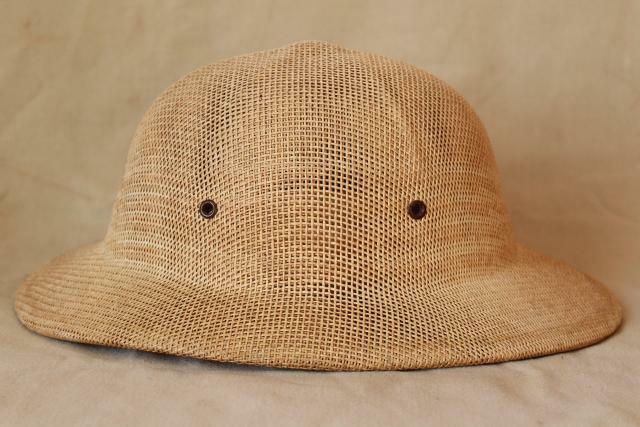 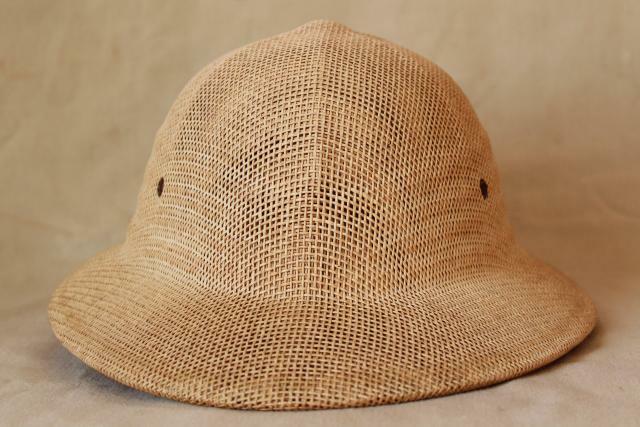 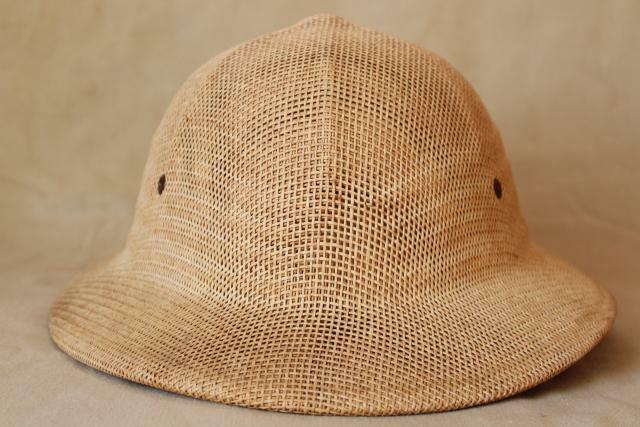 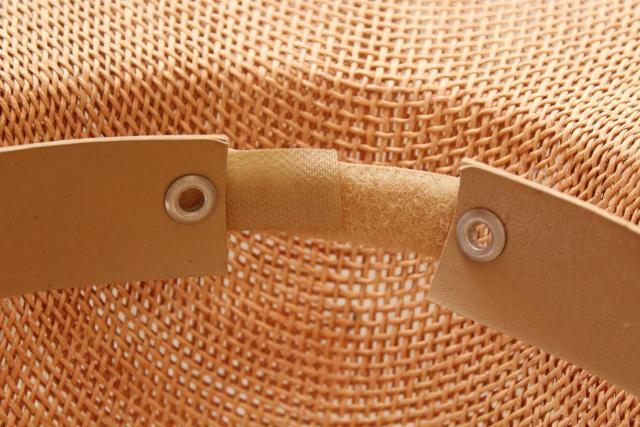 It has a hard shape like a pith helmet, but sits comfortably on the head with a cotton terry velcro adjustable head band. 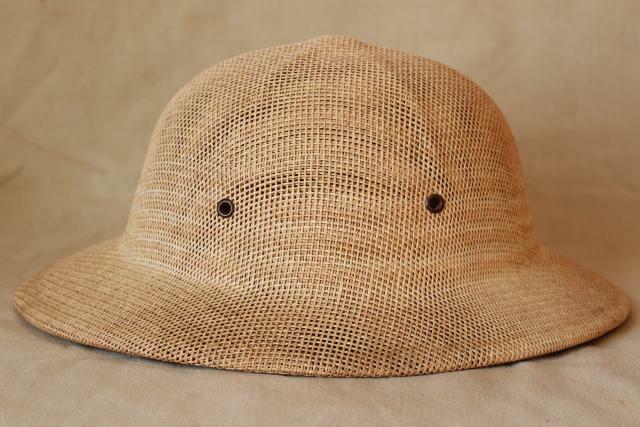 It's one size fits most, I think - an average adult man or woman. 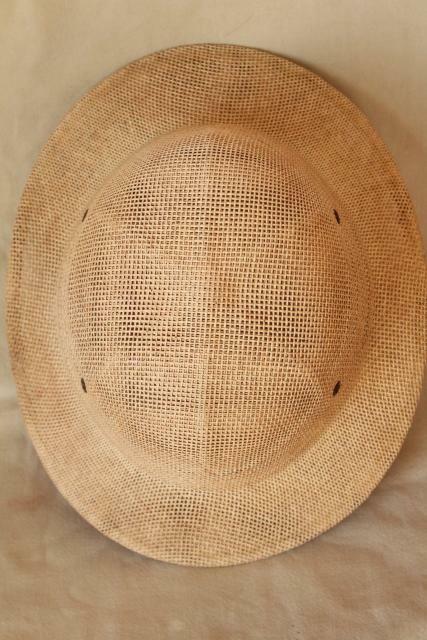 It measures 13 1/2" x 10 3/4" over the outer edges of the brim. 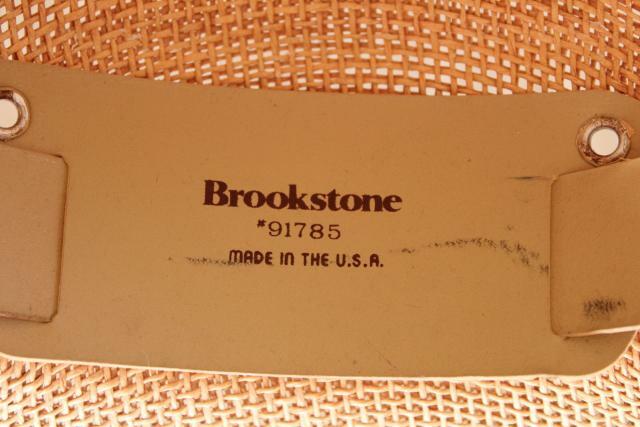 This is used, and shows a little marking and soil to the inside headband. 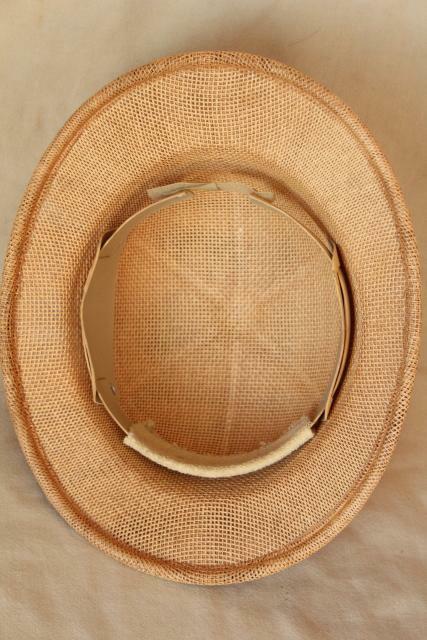 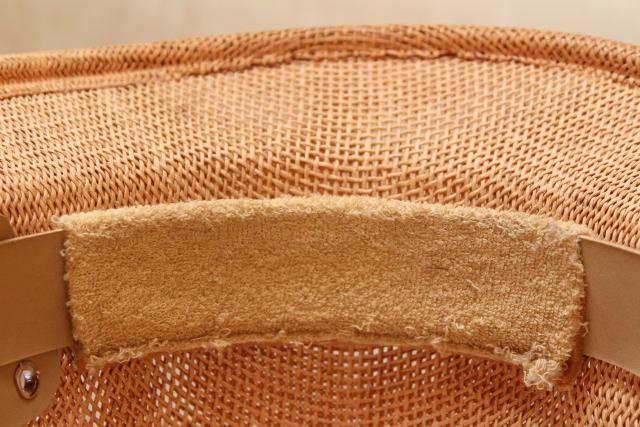 The outside of the hat looks clean, with little fading or staining.